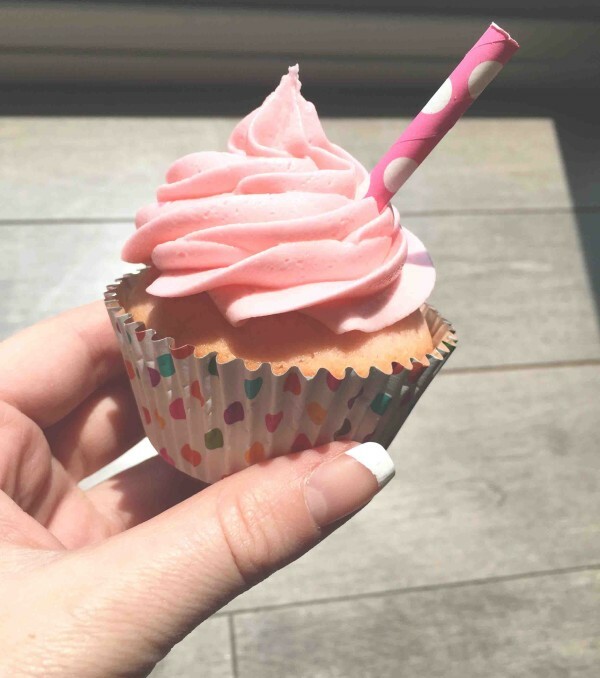 So I have a new cupcake recipe that we tried that is the perfect spring/summer refresher. Yes cupcake and refreshing can be used in the same phrase, especially if they are Pink Lemonade! Make sure you try these babies out and have fun biting into these while enjoying the outdoors! They taste as good as they look… and take no time to make! 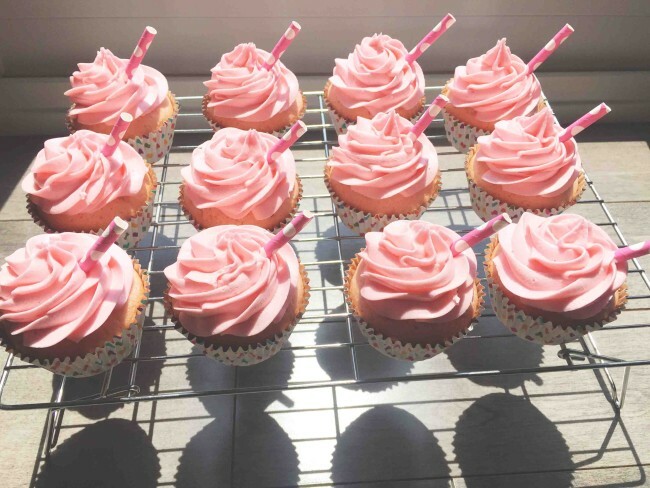 I just love this recipe… its not your typical cupcake flavour and that’s what is so great. Also remember this is something you can have fun with, it doesn’t always have to be pink lemonade, any lemonade flavour will work. But once you try these out… good luck swaying away! In a large bowl mix together your butter and sugar. Mix for approx. 2 min until smooth and fully combined! Sift together baking powder and salt and all purpose flour in another separate bowl. Slowly add into butter mix and until combined. Slowly add in the egg mix on high until combined. About a full minute to 2 minutes. The fun part is to now add in your pink lemonade and mix until combined and fluffy. Add in pink food colouring OR a few drops of red (the point is to get it pink not red) Try it out and at this point you can pick and choose how much more of a lemonade kick you want! 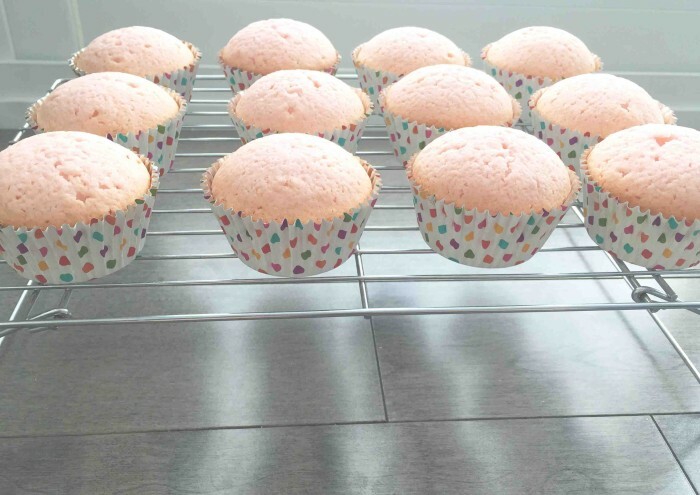 Remove from cupcake pans and place cupcakes on cooling rack! 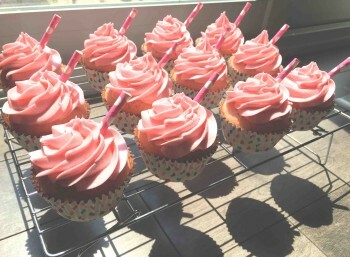 Add your adorable straws that you cut in 3 to your piped icing and get ready to hit the road. Pack them in an air tight container to keep them from hardening. My advice is try not to use the cupcake liners with aluminium on the inside. I find that they cook at a totally different pace and not the same at all, they are cute but I try to avoid them. Secondly do not leave these in to long…. they will harden quite a bit so unless your toothpick is a watery mess take them out because they still cook when they are out of the oven!